Based on high-tech military wearables, a California-based company is unveiling consumer-oriented state-of-the-art augmented reality glasses - a competitor to Google Glass. They are expected to be released in 2015 at prices below $1000. The new Smart Glasses system by Osterhout Design Group (ODG) is similar to the heavy duty glasses it has been supplying the US Department of Defense for more than a year, according to the ODG press-release. ODG said the new gadget will provide head worn computing and augmented reality. The Smart Glasses are based on a ReticleOS operating system that uses Android and can run any Android-based application. “Our intention is to deliver a state-of-the-art system in a consumer-friendly form that you can wear to do specific things your laptop, phone or tablet can’t, such as work privately on an airplane or train, watch 3D movies on a large screen in bright sunlight, play interactive 3D games, or obtain heads-up line-of-sight directions or instructions while keeping your hands free and your eyes engaged in your environment,” said Pete Jameson, COO of Osterhout Design Group. The San-Francisco based company has spent six years and $60 million refining the technology. The new Smart Glasses are lighter and sleeker that its military prototype – they weigh just 125 grams and are based on the Ray Ban Wayfarer sunglasses style. 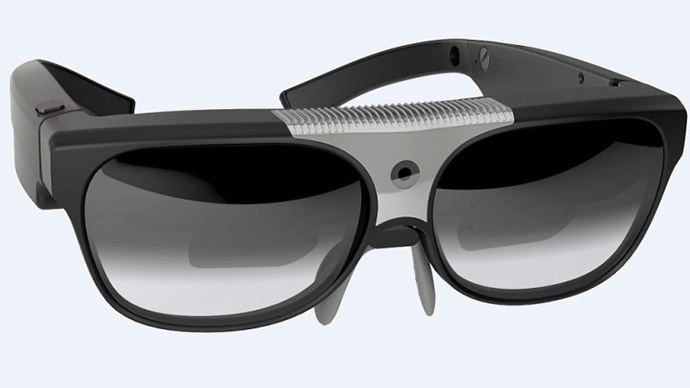 The Smart Glasses are packed with positional sensors that can track the user’s every move. They also work with face detection apps and have duel independently driven displays. The gadget has a quad-core Qualcomm Snapdragon processor with 802.11ac Wi-Fi wireless networking and navigation via the global positioning system (GPS), Russian Glonass, and Magellan satellite networks, Venturebeat reported. The device has storage of 128-gigabytes, magnetic audio jacks, two digital microphones and a 5-megapixel camera. “Our Smart Glasses are proving their worth in some of the world’s toughest environments and we look forward to bringing our innovative technology closer to everyday consumers,” said Ralph Osterhout, CEO and Founder of Osterhout Design Group. The inventor is famous for developing a range of innovative products including underwater vehicles for two James Bond movies.